As we come into Spring, prints are brighter and prettier. Last month celebrities showed the latest print trends on and off the red carpet. In early March in Paris, Chanel’s front row was full of stunning prints, including Marie-Ange Casta’s geometric dress. 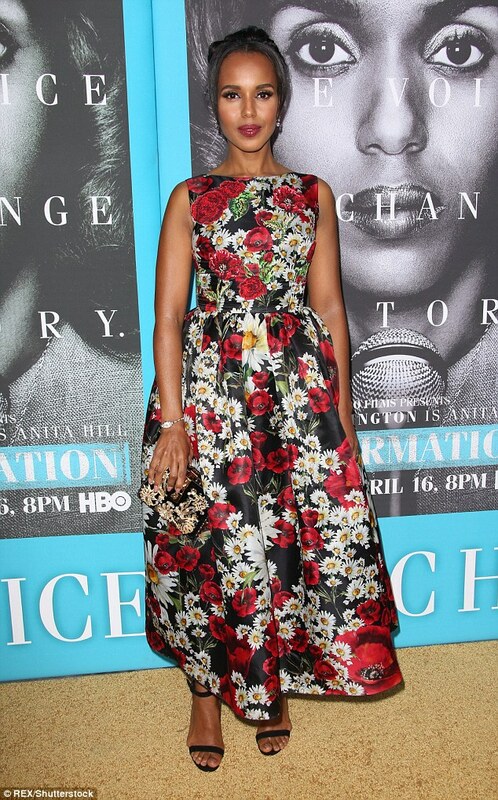 Kerry Washington was at the Confirmation premiere in Hollywood at the end of March in a beautiful floral Dolce & Gabbana dress. A perfect evening dress as we come into warmer months. At a state dinner for Prime Minister Trudeau the First Lady wowed in an elegant, floor length Jason Wu gown. The floral theme carries on with Gal Gadot, Isralean actress and model (also the new Wonder Woman!). She certainly looked wonderful in a Giambattista Valli gown at the Mexico City premiere of the new Batman V Superman: Dawn of Justice. This girly print is perfect for Spring. Naomie Harris worked this monochrome dress at the Christian Dior show at Paris Fashion Week. We love her statement bag and heels. Lupita Nyong’o shows us how to style the new pineapple trend in a Gucci outfit out and about in New York in early March. Look out for the snakes, too!